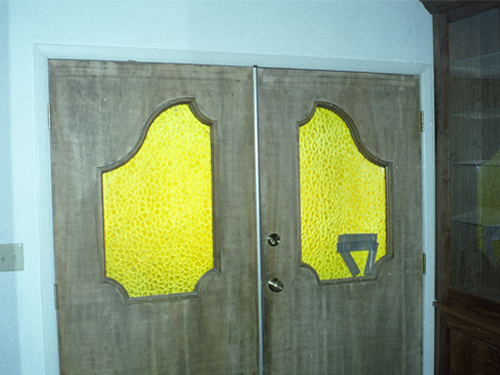 The clients had commissioned the stain glass for their original double doors. 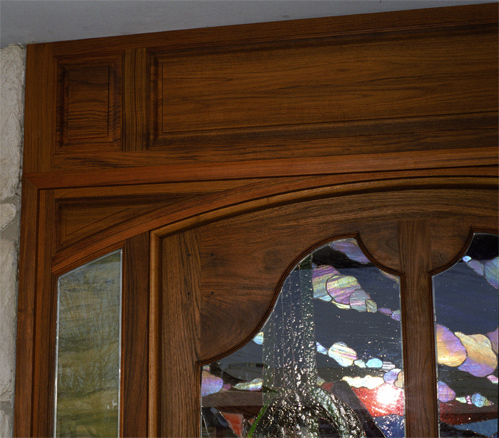 We designed the supporting woodwork and a single 50” wide door to accommodate the stained glass panels. 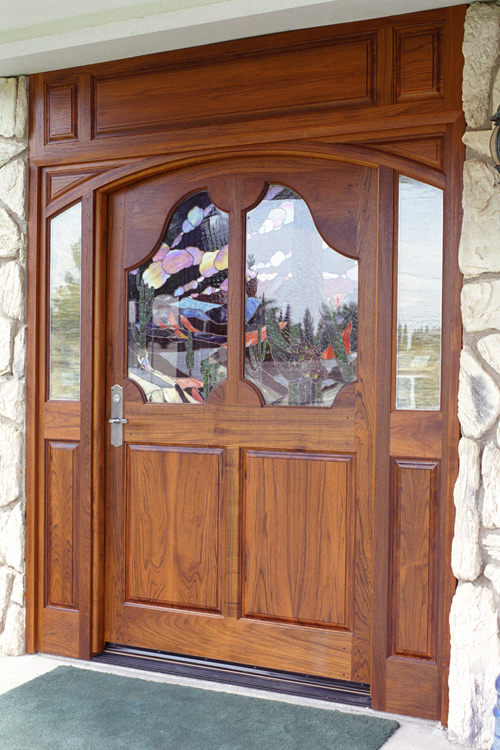 Door, fill panels, door jambs and trim are all sold teak. 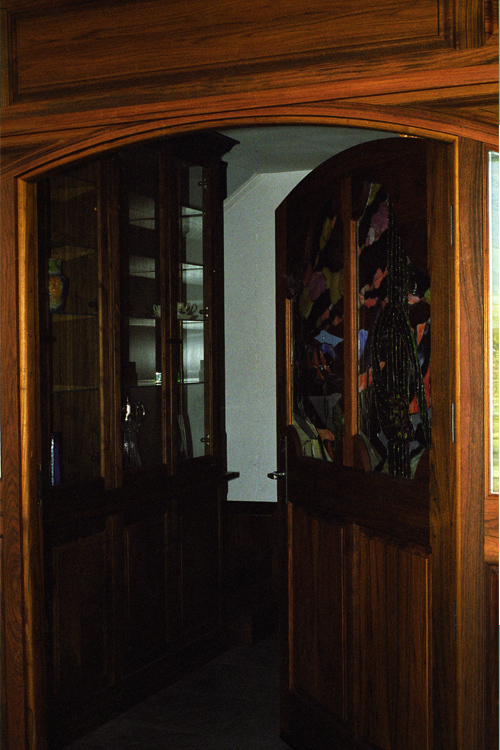 Door has mortise and tenon construction with ebony pegs thru the tennon’s. Hardware is Bouvet with a mortice in lock box.